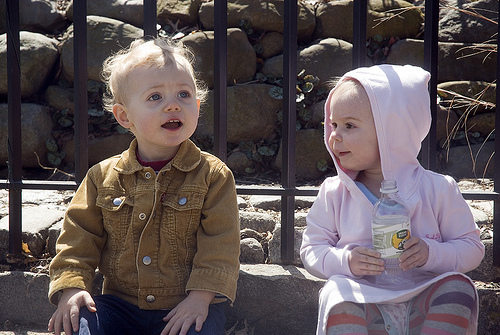 This is a picture of Emory and Sofia sitting in the park together last Thursday. They are both (almost) two but going on 90. This picture makes me unbearably happy and it tells a thousand and one stories that haven’t yet taken place. This photo is so perfect. that is a lovely photo. Especially if they held that pose for more than a few seconds.